Join the HIPAA Alliance™ and grow your business! Health care providers and other Business Associates are searching for vendors just like YOU. looking for a HIPAA compliant vendor! Health care represents 26% of the US economy. With the rise of ransomware, security breaches, and identify theft, there has never been a better time to expand your efforts into health care. 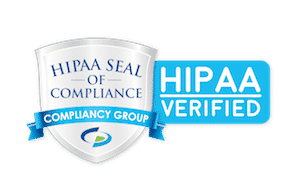 The HIPAA Alliance Marketplace closed ecosystem allows you to get the maximum exposure with qualified decision makers who are looking for HIPAA compliant vendors.